Lyme disease cut short the life of Magnotta Winery co-founder Gabe Magnotta. Now the foundation created in his name has given $1.4 million to the University of Guelph to help prevent and fight the debilitating disease. The grant will create the G. Magnotta Lyme Disease Research Lab, intended to improve diagnostic testing and treatment to prevent long-term suffering from Lyme disease. Magnotta, known as a trailblazer in the Canadian wine industry, co-founded Magnotta Winery in 1990 with his wife, Rossana Magnotta. An avid outdoorsman, he died in 2009 after a seven-year battle with Lyme disease. 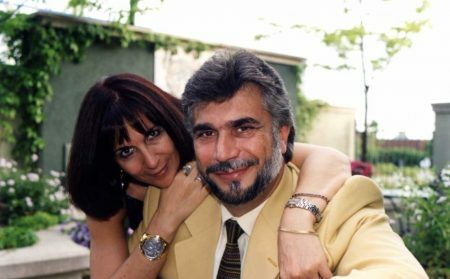 Rossana Magnotta created the non-profit G. Magnotta Foundation for Vector-Borne Diseases in 2012 in her late husband’s memory. “Over the years it has become a beacon of hope for the countless people who suffer from Lyme disease every day,” she said. The foundation aims to establish Canada’s first research centre for vector-borne illnesses; the Lyme disease lab at U of G is the first step. U of G scientists hope to identify disease biomarkers and prognostic indicators for Lyme disease, as well as new treatment options. The lab will operate within the College of Biological Science (CBS). “I am very excited about this partnership between U of G and the G. Magnotta Foundation,” said CBS dean Jonathan Newman. Lyme disease has spread from Ontario to every Canadian province. It’s caused by the bacteria Borrelia, which is transmitted through bites of infected ticks. Infected individuals initially experience flu-like symptoms. Left untreated, the disease can affect the skin and internal organs as well as the musculoskeletal system, and impair eyesight and hearing. It’s one of the most commonly misdiagnosed diseases, with symptoms that mimic other diseases such as multiple sclerosis, amyotrophic lateral sclerosis, and Alzheimer’s and Parkinson’s disease. Even when the disease is diagnosed properly and early, patients often suffer new onset symptoms after treatment. “Lyme disease is increasingly recognized as a substantial threat across the country, and there is a profound need for high-quality science that can improve the lives of afflicted Canadians,” said Melanie Wills, a research associate in the Department of Molecular and Cellular Biology who will direct the new lab. 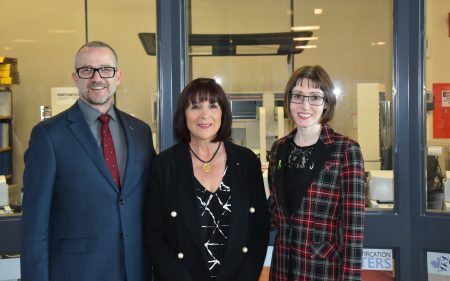 Wills plans to work with other Lyme researchers and centres, and develop a national collaborative network involving scientists, clinicians and patients. She also plans to involve undergraduate and graduate students in Lyme disease research. “It is an honour to work with the visionary G. Magnotta Foundation toward a shared goal of breaking new ground in the understanding and treatment of this complex vector-borne disease,” Wills said.